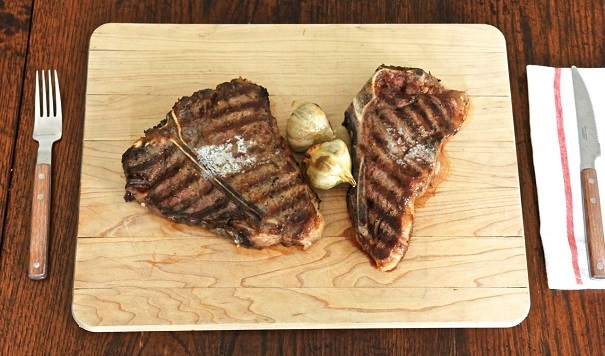 A T-bone steak and a Porterhouse steak are the same cuts of beef, from slightly different parts of the loin area of a cow. Rub steaks with garlic and pepper. 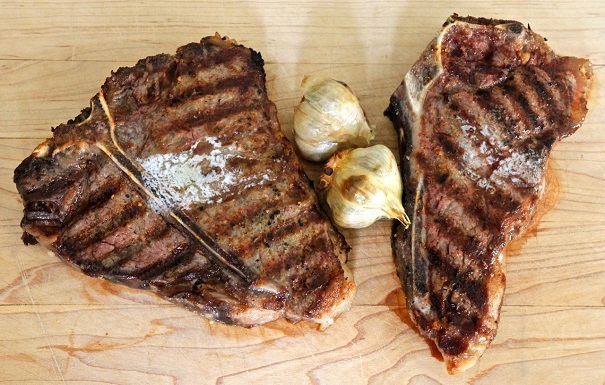 When grill is hot, cook steaks, searing the outsides until they are black. Cook 7 minutes on each side; exteriors will be brown, but animal will have stopped mooing. Salt heavily. Top with large pats of butter, garnish with garlic, and serve.